1. Visible LED status display. 2. Check the RJ11& RJ45 & BNC Cable quickly. 3. Automatically runs all tests and checks for continutiy, open,shorted and crossed wire pairs. 4. Endurable and prevent of burnout. 5. Slow and fast test switch. All shiiping way is available . All products are stabilized after 24-hour aging testing. All products are 100% inspected PASS before shipment. requirements for electronic measuring instruments, GB191 Packaging storage and transportation signs. We are only responsible for the samage or loss before opening-box inspections, otherwise, it is out of our responsibility in 6 months calid from the sate of purchasing to provide with further services for repair, maintenance or replacement. A. No any other valid proof. B. Unauthorized repair to misuse or removal. C. Normal wear and tear of accessories. D. Abnormal connection to high-voltage equipments or long-time unuse. E. Damage or defects caused by force majeure. F. Improper maintenance and repair. 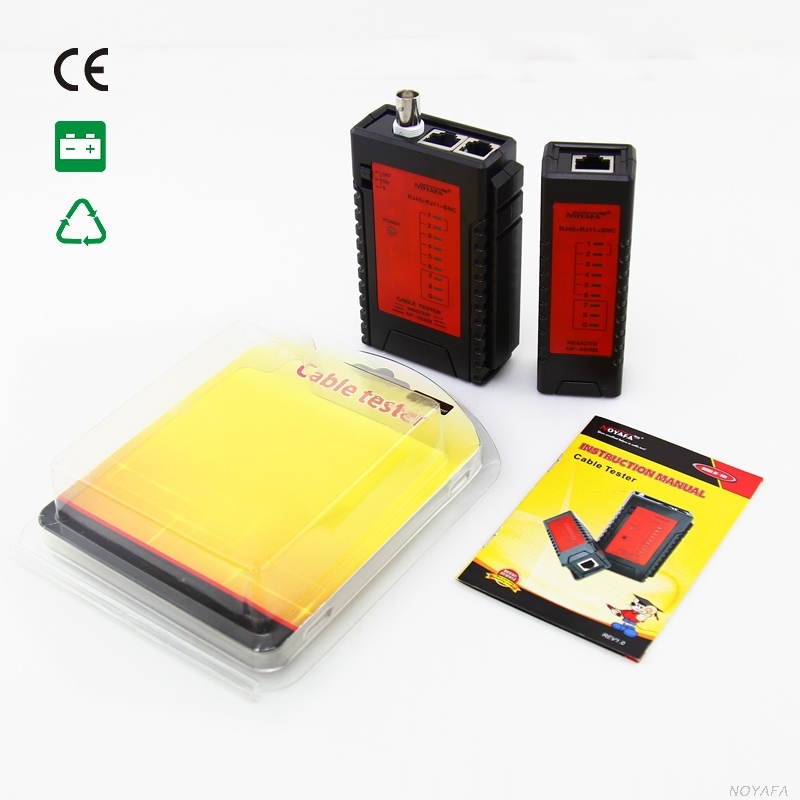 SHENZHEN NOYAFA ELECTRONIC CO.,LIMITED is a leading brand and manufacture based in Shenzhen,China. sipplying LCD cable tester,Cable length tester, Optic multimeters, CCTV monitor tester,HD cable tester , Toolkits and Laser range finder field since in 2006. NOYAFA this brand for differend product lines in network cabling, and has been developing it's prodcut line and expanding it's business with the policy of innovation , quanlity and service with customers all over the world. After years of development, the company has created a wealth of experience in sales and after-sales service team. Manufacturers and users in the formation of a very high reputation. At present, Our products are exporting to all over the world,especially to Europe,Asian,America. No matter where or when, customers' satisfactory is our eternal pursuit and goal. 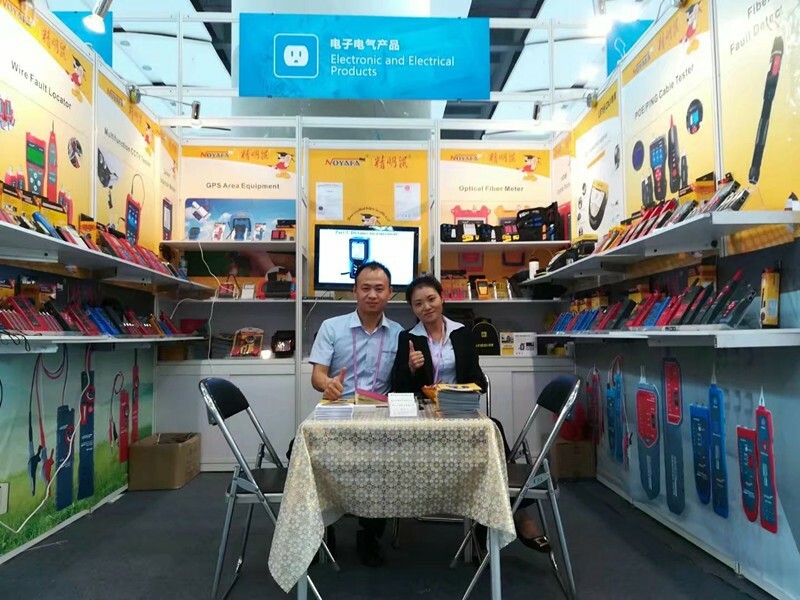 Shenzhen Noyafa Electronic Co., Ltd.